When it comes to floor materials, wood is probably the best option. Wooden floors have been a staple everywhere from in residential properties to businesses and institutions. However, even the toughest wooden floor needs some attention and restoration at some point. You can easily see your reflection on the floor once again. 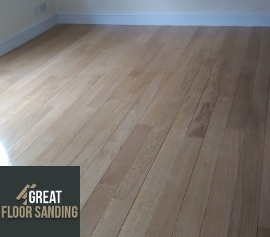 Call our professional floor sanding in Brixton SW2 SW9. We can deal with every type of wood flooring. Repair and Restoration: The beginning of the sanding process that takes care of the floor in terms of damaged or loose wooden boards that need securing. Gap Filling: A secondary preparation to ensure the following sanding is successful. Floor Sanding: Your floors are sanded with a powerful machine that flattens the floors and leaves behind a smooth wooden surface. Staining: Your floor is treated with an organic staining agent to modify the overall color. Finish: This step protects your floors in the long run with a thick coating of lacquer, wax or oil. What Our Brixton Floor Sanding is Known For? Increased Lifespan: Your floors live for decades. That’s how well-sealed they are. Enhanced Aesthetic: Your floors feel better, but also look amazing to anyone who sees them. Added Value: Beautiful wooden floors only add to your property value. It’s the best investment for your property. Simplified Cleaning: Smooth even surfaces are a dream to clean. What makes us the ideal choice for your floor sanding in Brixton is the fact that we value quality above all else, and you’ll find this in our craftsmanship. All technicians in the employment are BONA certified and operate with high-grade equipment that delivers impeccable results and absorbs the fine dust particles. In the end, you return to immaculate floors and a clean house, office or flat. So save yourself time and effort and trust in our proven excellence. Request your no-obligation viewing about wood floor sanding right now. Just gives us a call at 020 3404 9697 – the rest is up to us! You can contact us at any given moment during the week – be it a work day or the weekend, bank or national holiday. You also stand to receive a quote at the end of the viewing and can call us anytime to make alterations to your scheduled appointment or request an update, or use our contact form or chat feature.